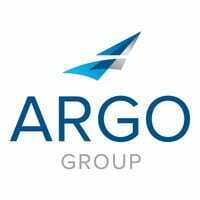 HAMILTON, Bermuda (January 23, 2019) – Argo Group International Holdings, Ltd. (NYSE: ARGO), an international underwriter of specialty insurance and reinsurance products, today announced it will release 2018 fourth quarter financial results after the close of U.S. financial markets on Monday, February 11, 2019. Company management will conduct an investor conference call starting at 10:00 a.m. EST on Tuesday, February 12, 2019. A live webcast of the conference call can be accessed by visiting https://services.choruscall.com/links/argo190212.html. Participants in the U.S. can access the call by dialing (877) 291-5203. Callers dialing from outside the U.S. can access the call by dialing (412) 902-6610. Please ask the operator to be connected to the Argo Group earnings call. A webcast replay will be available shortly after the live conference call and can be accessed at https://services.choruscall.com/ccforms/replay.html. A telephone replay of the conference call will be available through February 19, 2019, to callers in the U.S. by dialing (877) 344-7529 (conference #10128196). Callers dialing from outside the U.S. can access the telephone replay by dialing (412) 317-0088 (conference #10128196).